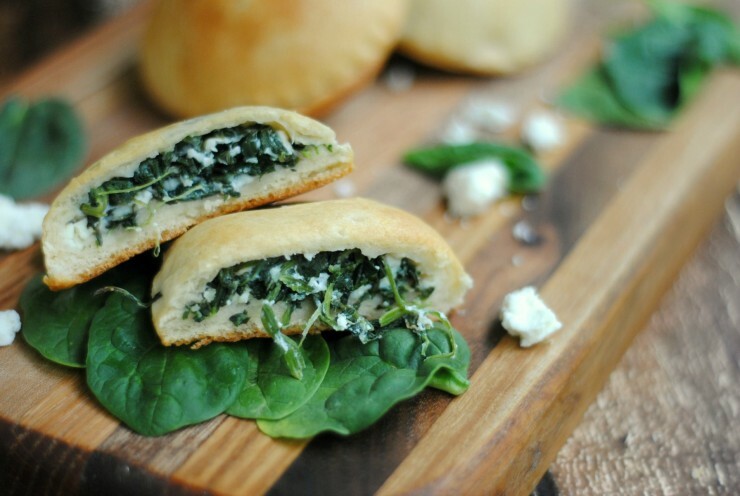 Spinach & Feta Hand Pies - Frugal Mom Eh! 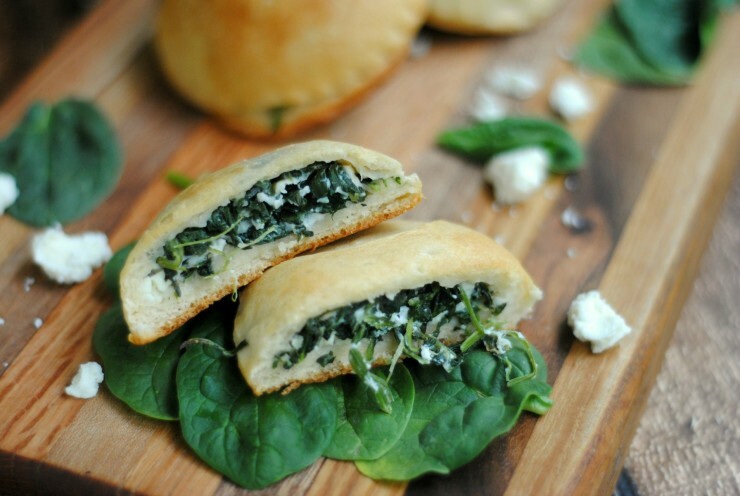 These Spinach & Feta Hand Pies make for not only an awesome appetizer but are great for a delicious lunch or dinner for the whole family. 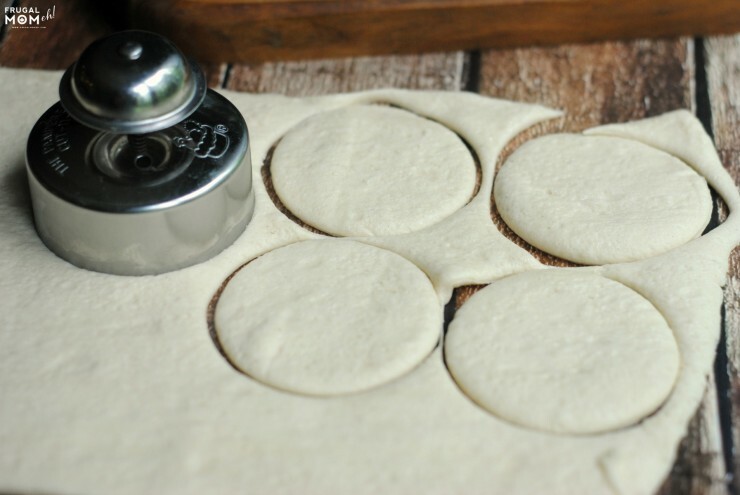 Unroll the crescent dough and use the biscuit cutter to cut out an even number of tops and bottoms. After re-using my leftover crescent roll (I simply rolled it back out) I was able to make 7 small hand pies out of 1 sheet of crescent dough. 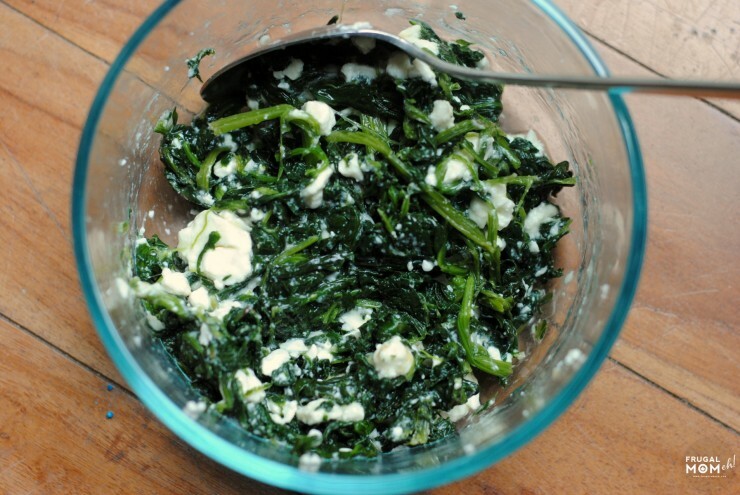 Combine the cooked spinach, feta cheese, garlic powder, egg white and salt and pepper, mixing well. 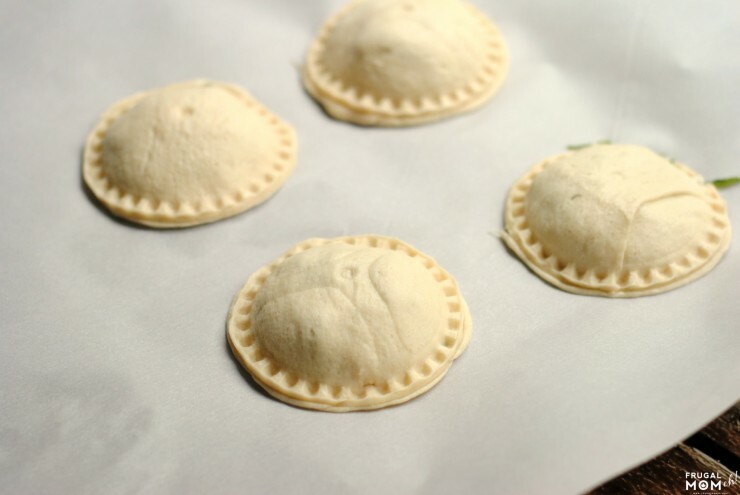 Place a ‘top’ onto each pie and use the small fork to seal the hand pies shut. Fork the top of each pie to allow air to escape. 1 hand pie = 1 serving. Makes about 14 mini hand pies. 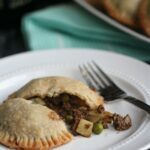 Place a 'top' onto each pie and use the small fork to seal the hand pies shut. Fork the top of each pie to allow air to escape. I need to make these….this is probably the one food I miss the most about living in the city. All the authentic ethnic food spoiled us. These look delicious, and since I have lots of spinach from my garden, I will be trying them soon! These sound really tasty! Thanks for the recipe! 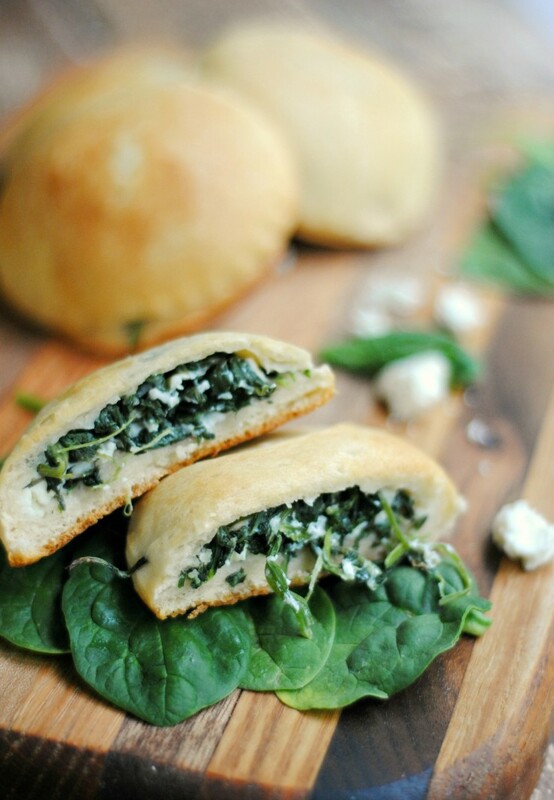 Yum, these Spinach & Feta Hand Pies look delicious. I love that they’re fast ans easy to make. I can’t wait to try this, thank you for sharing this recipe. Thanks for sharing I will be making these up, they sound very tasty!! These look super delicious and and whole lot better than a hot pocket. Is there a alternative or substitute to the Pillsbury Crescent dough? You could make homemade crescent dough. Puff pastry might be nice or phyllo but I haven’t tried to be able to say what the bake time would be. 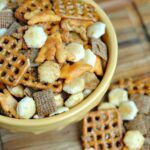 These look delicious and are so easy too! I love that Pillsbury dough for making recipes so much easier. 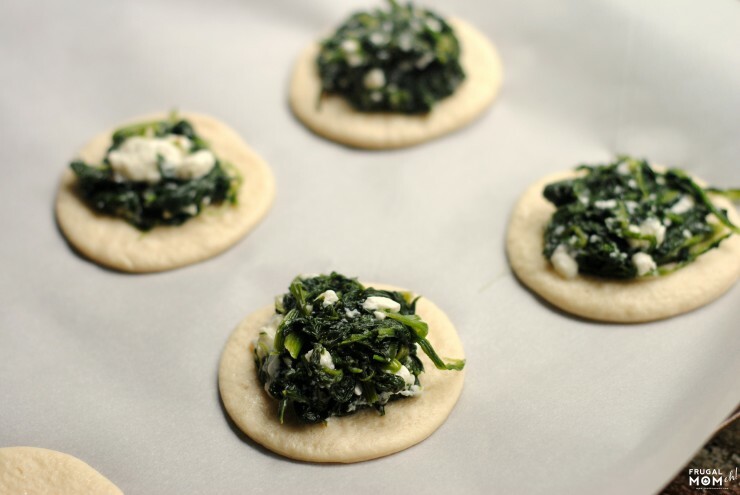 I love spinach and feta pies! 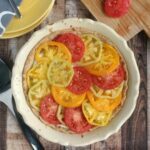 This looks great because it is super easy using ready made dough. 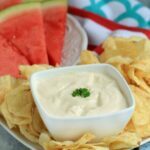 These look like a perfect appetizer for parties! This recipe looks so delicious that I can’t wait to make them. I’ve already printed the recipe out.